Sound the alarm! It’s FRIDAY everyone! My co-worker and I pray over the phone every morning and today it was my turn and as I began praying I began singing, “And, Lord thank You for FRIDAY!! !” Yes, I’ve said it before, I love Friday! Today, as I look out my home office window, the snow is swirling around and little ice pellets are bouncing off the porch roof – I believe we are going to enjoy a homebound Saturday and for that I’m grateful – I have some major housekeeping chores to undertake! Timer set. Three. Two. One. Go! This word conjures up a lot of thoughts for me … I don’t share a lot of personal things – I’ve learned to guard my heart over the years (Proverbs 4.23). But, I have a tight circle of women friends (some are related) that I feel quite safe sharing deep, personal issues. I know beyond a shadow of doubt that what I say to them stays with them. They do not SHARE my stuff. On the other hand, I tend to be the go-to person for others to SHARE things with. I have learned to be a good listener and it’s amazing that I’ve learned when someone shares with me I don’t have to have answers or advice or wisdom. Usually people just need someone to SHARE with – I consider myself blessed if they choose me. As a born-anew believer in Jesus Christ, I have the best news to SHARE – HIM! The hope that we have in Him. I love sharing that News and it is one of the main reasons I began my blog years ago. I tend to be in introvert, thus, blogging gave me a platform to share Him and how He can make, and makes, all the difference in life. 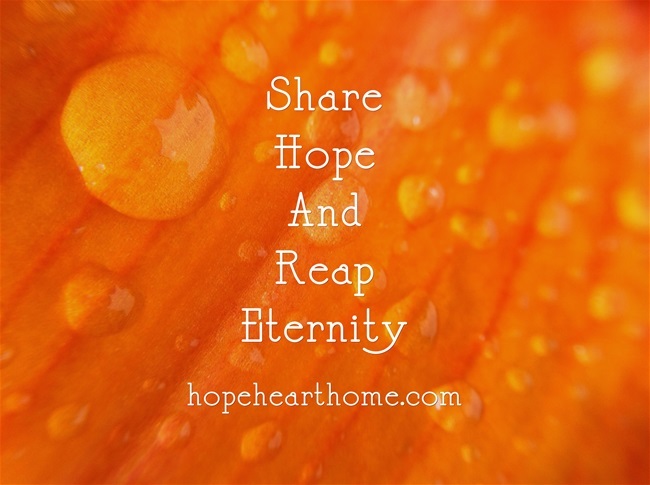 And when we SHARE our faith in Christ, we are offering eternal hope to those who read or hear. Is there anything better to SHARE than that? I enjoy sharing my life with a just a few, but the biggest reward is when folks trust me enough to share intimate, hurt parts of themselves. I cherish that trust and consider it a privilege. It bonds us together, which has to bring a smile to God’s face. 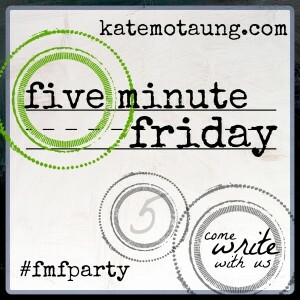 Happy to be stopping by via FMF! Have a blessed weekend! Dara, then you & I are alike! This brings up such a good point… The purpose of our sharing should never be sharing itself. It should be to glorify Him! Thank you for sharing your gift with words here- it is a blessing. Happy Friday! Karen, it’s never about us, is it? Tara, and you are doing just that with your entire life!